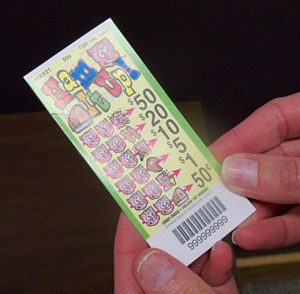 Just like it’s a really bad idea to give a kid a sip of your beer at the holiday party, an expert says Powerball and scratch-off tickets should never be used as stocking stuffers. Eric Preuss, program manager for the Iowa Gambling Treatment Program, says you have to be 21 to gamble in Iowa and what may seem like a harmless present is far from it. “As they’re looking for gifts for their kids who are under the age of 17, the purchase of lottery tickets and scratch-off tickets, it’s just not an appropriate gift,” Preuss says. “Subjecting youngsters to gambling at younger ages increases the risks down the road that they could develop a problem with gambling.” Lottery tickets and other gambling products are not for children, he says, and studies confirm it can lead to trouble. “The sooner a child begins to gamble, the more likely they are to develop a problem later in life related to their gambling,” Preuss says. “Seventy percent of adolescents that were questioned reported having gambled in the past year.” Studies also find about half of people with gambling problems had a big win early in their lives that got them hooked. Warning signs that a youngster may be starting to have a problem include: withdrawing from family and friends and excessive use of the phone, texting and the internet. Free help with problem gambling is available by calling 1-800-BETS OFF or online at www.1800BETSOFF.org.